Are you looking for a Used Toyota Vehicle? Here at Bill Luke Tempe, we have over 23 Used Toyota Cars, SUV’s, and Trucks! Scroll through our inventory to find your next vehicle! This is a great economy car. You can't go wrong with Toyota quality.. Recent Arrival! 28/36 City/Highway MPG Bill Luke Tempe is a family owned and operated business that has done business the right way since 1927. You can buy with confidence! Unlike our competitors, we DO NOT CHARGE for UNWANTED DEALER ADDS and our RECONDITIONING COSTS are INCLUDED in the sales price. Bill Luke Tempe's price is based on Kelley Blue Book Price AdvisorTM - which allows you to see what other Arizona residents have paid for the same year, make and model of vehicle while considering vehicle mileage. See dealer for details or visit www.billluketempe.com to see the difference for yourself! Odometer is 10990 miles below market average! 29/38 City/Highway MPG Bill Luke Tempe is a family owned and operated business that has done business the right way since 1927. You can buy with confidence! Unlike our competitors, we DO NOT CHARGE for UNWANTED DEALER ADDS and our RECONDITIONING COSTS are INCLUDED in the sales price. Bill Luke Tempe's price is based on Kelley Blue Book Price AdvisorTM - which allows you to see what other Arizona residents have paid for the same year, make and model of vehicle while considering vehicle mileage. See dealer for details or visit www.billluketempe.com to see the difference for yourself! LEATHER!!! Odometer is 15542 miles below market average! 29/37 City/Highway MPG Bill Luke Tempe is a family owned and operated business that has done business the right way since 1927. You can buy with confidence! Unlike our competitors, we DO NOT CHARGE for UNWANTED DEALER ADDS and our RECONDITIONING COSTS are INCLUDED in the sales price. Bill Luke Tempe's price is based on Kelley Blue Book Price AdvisorTM - which allows you to see what other Arizona residents have paid for the same year, make and model of vehicle while considering vehicle mileage. See dealer for details or visit www.billluketempe.com to see the difference for yourself! ABS brakes, Alloy wheels, Electronic Stability Control, Heated door mirrors, Illuminated entry, Low tire pressure warning, Remote keyless entry, Traction control. Odometer is 12235 miles below market average! 29/37 City/Highway MPG Bill Luke Tempe is a family owned and operated business that has done business the right way since 1927. You can buy with confidence! Unlike our competitors, we DO NOT CHARGE for UNWANTED DEALER ADDS and our RECONDITIONING COSTS are INCLUDED in the sales price. Bill Luke Tempe's price is based on Kelley Blue Book Price AdvisorTM - which allows you to see what other Arizona residents have paid for the same year, make and model of vehicle while considering vehicle mileage. See dealer for details or visit www.billluketempe.com to see the difference for yourself! Odometer is 7128 miles below market average! 28/36 City/Highway MPG Bill Luke Tempe is a family owned and operated business that has done business the right way since 1927. You can buy with confidence! Unlike our competitors, we DO NOT CHARGE for UNWANTED DEALER ADDS and our RECONDITIONING COSTS are INCLUDED in the sales price. Bill Luke Tempe's price is based on Kelley Blue Book Price AdvisorTM - which allows you to see what other Arizona residents have paid for the same year, make and model of vehicle while considering vehicle mileage. See dealer for details or visit www.billluketempe.com to see the difference for yourself! Odometer is 6054 miles below market average! 25/35 City/Highway MPG Bill Luke Tempe is a family owned and operated business that has done business the right way since 1927. You can buy with confidence! Unlike our competitors, we DO NOT CHARGE for UNWANTED DEALER ADDS and our RECONDITIONING COSTS are INCLUDED in the sales price. Bill Luke Tempe's price is based on Kelley Blue Book Price AdvisorTM - which allows you to see what other Arizona residents have paid for the same year, make and model of vehicle while considering vehicle mileage. See dealer for details or visit www.billluketempe.com to see the difference for yourself! This is the Camry That You Have Been Waiting For!!! CarFax One Owner, Rear Back Up Camera, Bluetooth, Power Seat, Keyless Entry, CD Player, Alloy Wheels and Much More!!!. Recent Arrival! 24/33 City/Highway MPG Bill Luke Tempe is a family owned and operated business that has done business the right way since 1927. You can buy with confidence! Unlike our competitors, we DO NOT CHARGE for UNWANTED DEALER ADDS and our RECONDITIONING COSTS are INCLUDED in the sales price. Bill Luke Tempe's price is based on Kelley Blue Book Price AdvisorTM - which allows you to see what other Arizona residents have paid for the same year, make and model of vehicle while considering vehicle mileage. See dealer for details or visit www.billluketempe.com to see the difference for yourself! MOON ROOF AND NAVIGATION!! 21/31 City/Highway MPG Bill Luke Tempe is a family owned and operated business that has done business the right way since 1927. You can buy with confidence! Unlike our competitors, we DO NOT CHARGE for UNWANTED DEALER ADDS and our RECONDITIONING COSTS are INCLUDED in the sales price. Bill Luke Tempe's price is based on Kelley Blue Book Price AdvisorTM - which allows you to see what other Arizona residents have paid for the same year, make and model of vehicle while considering vehicle mileage. See dealer for details or visit www.billluketempe.com to see the difference for yourself! MOON ROOF, NAVIGATION AND LEATHER!! 43/39 City/Highway MPG Bill Luke Tempe is a family owned and operated business that has done business the right way since 1927. You can buy with confidence! Unlike our competitors, we DO NOT CHARGE for UNWANTED DEALER ADDS and our RECONDITIONING COSTS are INCLUDED in the sales price. Bill Luke Tempe's price is based on Kelley Blue Book Price AdvisorTM - which allows you to see what other Arizona residents have paid for the same year, make and model of vehicle while considering vehicle mileage. See dealer for details or visit www.billluketempe.com to see the difference for yourself! MOON RROOF!!! Recent Arrival! Odometer is 3161 miles below market average! 22/28 City/Highway MPG Bill Luke Tempe is a family owned and operated business that has done business the right way since 1927. You can buy with confidence! Unlike our competitors, we DO NOT CHARGE for UNWANTED DEALER ADDS and our RECONDITIONING COSTS are INCLUDED in the sales price. Bill Luke Tempe's price is based on Kelley Blue Book Price AdvisorTM - which allows you to see what other Arizona residents have paid for the same year, make and model of vehicle while considering vehicle mileage. See dealer for details or visit www.billluketempe.com to see the difference for yourself! 19/27 City/Highway MPG Bill Luke Tempe is a family owned and operated business that has done business the right way since 1927. You can buy with confidence! Unlike our competitors, we DO NOT CHARGE for UNWANTED DEALER ADDS and our RECONDITIONING COSTS are INCLUDED in the sales price. Bill Luke Tempe's price is based on Kelley Blue Book Price AdvisorTM - which allows you to see what other Arizona residents have paid for the same year, make and model of vehicle while considering vehicle mileage. See dealer for details or visit www.billluketempe.com to see the difference for yourself! NAVIGATION, POWER LIFTGATE AND 3RD ROW!!!! Bill Luke Tempe is a family owned and operated business that has done business the right way since 1927. You can buy with confidence! Unlike our competitors, we DO NOT CHARGE for UNWANTED DEALER ADDS and our RECONDITIONING COSTS are INCLUDED in the sales price. Bill Luke Tempe's price is based on Kelley Blue Book Price AdvisorTM - which allows you to see what other Arizona residents have paid for the same year, make and model of vehicle while considering vehicle mileage. See dealer for details or visit www.billluketempe.com to see the difference for yourself! MOON ROOF, 3RD ROW WITH REAR A/C, ADAPTIVE CRUISE, NAVIGATION, POWER LIFTGATE AND LEATHER!!! Odometer is 534 miles below market average! 21/27 City/Highway MPG Bill Luke Tempe is a family owned and operated business that has done business the right way since 1927. You can buy with confidence! Unlike our competitors, we DO NOT CHARGE for UNWANTED DEALER ADDS and our RECONDITIONING COSTS are INCLUDED in the sales price. Bill Luke Tempe's price is based on Kelley Blue Book Price AdvisorTM - which allows you to see what other Arizona residents have paid for the same year, make and model of vehicle while considering vehicle mileage. See dealer for details or visit www.billluketempe.com to see the difference for yourself! 2" LIFT WITH 20" RACELINE SHIFT WHEELS!!! Bill Luke Tempe is a family owned and operated business that has done business the right way since 1927. You can buy with confidence! Unlike our competitors, we DO NOT CHARGE for UNWANTED DEALER ADDS and our RECONDITIONING COSTS are INCLUDED in the sales price. Bill Luke Tempe's price is based on Kelley Blue Book Price AdvisorTM - which allows you to see what other Arizona residents have paid for the same year, make and model of vehicle while considering vehicle mileage. See dealer for details or visit www.billluketempe.com to see the difference for yourself! This CarFax One Owner 4X4 4Runner is AWESOME!!! Loaded With Premium Features Including Leather, Moonroof, Navigation, Heated/Cooled Seats, Rear Back Up Camera, Push Button Start, Alloy Wheels and Much More!!!. Recent Arrival! Odometer is 6729 miles below market average! Bill Luke Tempe is a family owned and operated business that has done business the right way since 1927. You can buy with confidence! Unlike our competitors, we DO NOT CHARGE for UNWANTED DEALER ADDS and our RECONDITIONING COSTS are INCLUDED in the sales price. Bill Luke Tempe's price is based on Kelley Blue Book Price AdvisorTM - which allows you to see what other Arizona residents have paid for the same year, make and model of vehicle while considering vehicle mileage. See dealer for details or visit www.billluketempe.com to see the difference for yourself! 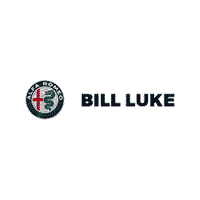 Bill Luke Tempe sells all types of Used Makes and Model Vehicles. We have over 23 Toyota Vehicles in inventory giving you an opportunity to find what you are looking for at a great price graded by Kelley Blue Book. For an example of used vehicles, we sell please look at the list we have provided.